Niacin, or vitamin B3, may be the way to get your cholesterol back where you and your doctor want it. Learn more about niacin and all the benefits of this B vitamin. Within our bodies are countless balancing acts -- factors that have to be just so in order to maintain our health. One such balancing act is our cholesterol, and the fight to keep it in check is one many Americans are losing. Niacin, or vitamin B3 is a member of the vitamin B complex and has shown positive effects in improving cholesterol levels by strengthening the good to take on the bad. Someone with high cholesterol has too much of this waxy substance within the lipids of their blood. Over time, this can lead to the development of fatty deposits within the blood vessels. As a result, you're at a higher risk for heart attack, stroke and cardiovascular disease. You can develop high cholesterol thanks to your genetic makeup, however, many people develop high cholesterol by consuming a diet high in fat and lacking in nutrients and forgoing exercise. The Centers for Disease Control and Prevention (CDC), reported 17 percent of adults in the United States has high cholesterol. High cholesterol can be treated through proper diet and exercise, but when genetics plays a part, more help may be needed through medication or supplements. According to the Mayo Clinic and PubMed, niacin reduces the mobilization of fatty acid from adipose tissue as well as the secretion of low-density lipoprotein, or LDL, ("bad") cholesterol, by increasing high-density lipoprotein, or HDL, ("good") cholesterol. This action was seen in a 2011 study published in the New England Journal of Medicine in which individuals with LDL below 70 mg/deciliter who had been diagnosed with atherosclerotic cardiovascular disease and were being treated with statin medications. Niacin can raise HDL by as much as 35 percent. According to the University of Maryland Medical Center (UMM), the recommended daily dose of niacin is 14 to 18 mg for adults, depending on gender and age (pregnancy is also a factor). However, doses as high as 1,000 mg are used for improving cholesterol. 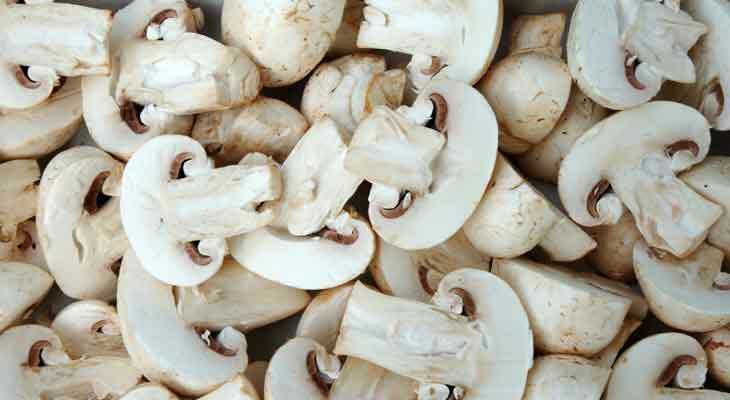 You can get your daily niacin from food sources like mushrooms, brewer's yeast, salmon and peanuts. Supplements can be found in capsule, tablet or even liquid form. You can also find formulas that are "no flush," which means they won't cause a redness or warmth of the face and neck, which is a common (and harmless) symptom of niacin. Your doctor can help you best determine the amount of niacin you should be consuming on a daily basis if your goal is to improve your cholesterol. Don't take niacin supplements without first consulting your doctor, especially if you're pregnant, breastfeeding or currently being treated for a medical condition like heart disease or high cholesterol. What else can niacin do? As a B vitamin, niacin plays a key role in energy production within the body. The B vitamins has support healthy tissues, like the hair, skin, eyes and nails and support the immune and digestive systems. Also related to heart health, niacin may also be beneficial in treating atherosclerosis, however, studies continue. Don't let your cholesterol levels hinder your health for years to come. Talk to your doctor about what natural options are right for you and check out our entire selection at eVitamins! Do You Have Enough Niacin? Each serving of this supplement provides 500 mg of Niamax niacin. The niacin in this formula is all time release, which means a constant amount will remain in your system between doses. If you're looking for a lower dose, this supplement also contains 500 mg of niacin per serving, but is only take once a day, unless otherwise directed by your doctor. If you're interested in treating your cholesterol naturally, this product is a great option.